I've been having fun on Facebook lately. I've actually hooked up with some people from high school. I left that place back in 1981. I left a lot of places behind. And now it seems to be coming back to me. Like old high school friends and a person who I worked with at my first real job when I graduated from college (he was also my best friend in the last few years of university). 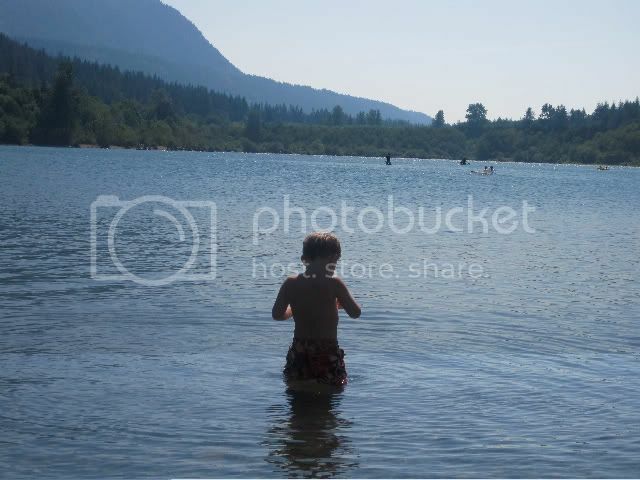 A few pics of our summer (most of them are of Rattlesnake Lake which is right near our house). We spent about 3 days out of the week at the lake (especially when it was uber hot). Griffon taking Donovan farther and farther out in the water. Of course, he stopped when I caught him. LOL! 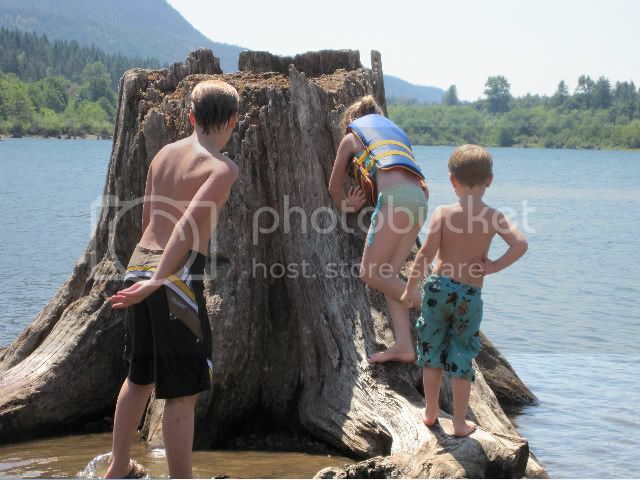 Donovan is always so proud of himself when he climbs all the way to the top of the stump. Rowan coming out of the water. 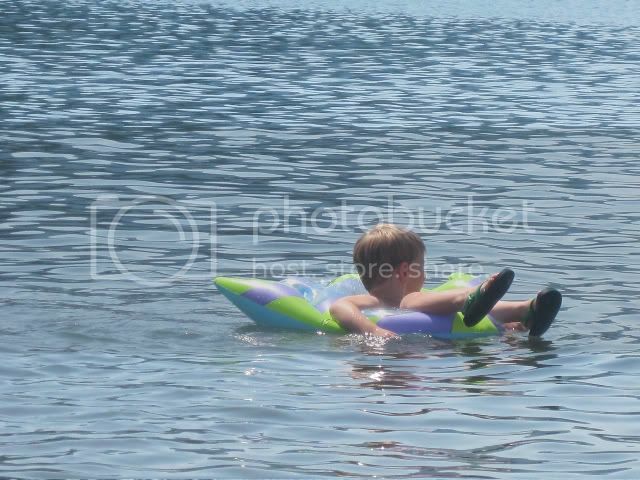 This lake is seriously made for people with rafts, floaties and tubes. 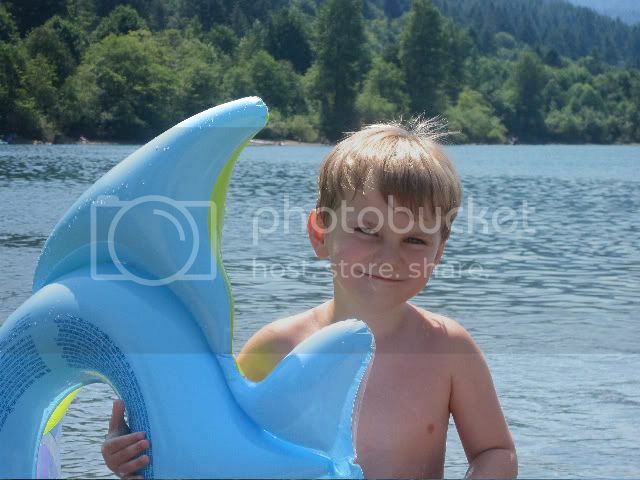 Speaking of kids with floaties. Here comes Donovan out of the water...again. I love this picture of Donovan! And it shows you how late the kids keep me out too. 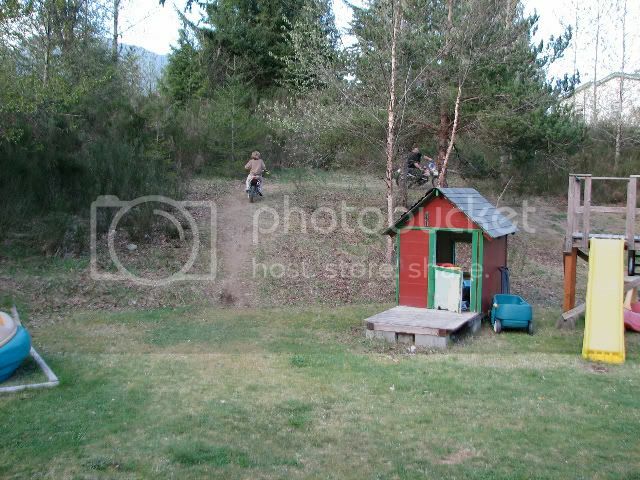 These two pictures are back home and show my son and hubby tearing up part of the hill with their toys. 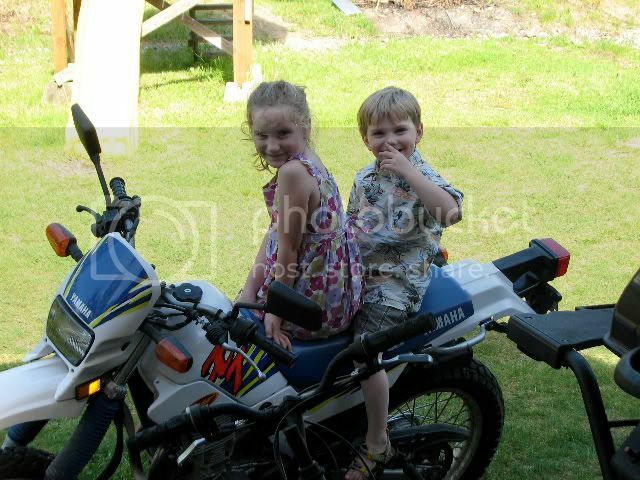 And I'm sorry, but they are way too young for this bike just yet. But they can't seem to help it - it's in their genes. And once again, if you would like to join me on Facebook, which really is a different animal than here because you can only put one or two sentences there, then give me an PM or let me know here and we can play together there. I would love to be Griffon's age again. Wait, he's in middle school. I don't blame you. I wouldn't have joined there had it not been for one of my friends from the past inviting me and then my daughter setting it up for me. Great pics! Thanks for sharing with us. I have facebook too but it just got too complicated mixing fandom friends, RL friends, relatives and business clients. I've decided to keep my facebook just for family and family orientated friends. But thanks. I know exactly what you mean. I suddenly have all these people from my high school talking to me so with my family and now them, it might also grow like this lj did. LOL! That's why I'm still sharing my pics here and not just there. I love the family pics. The kids look like they're having an amazing time! They just loved their summer. And then after all this, Griffon got to go on the road trip with his dad and Megan to New York. After they dropped off Megan, they were in the Hamptons and then Cape Cod. Great pics! You've got gorgeous kids, Maria. 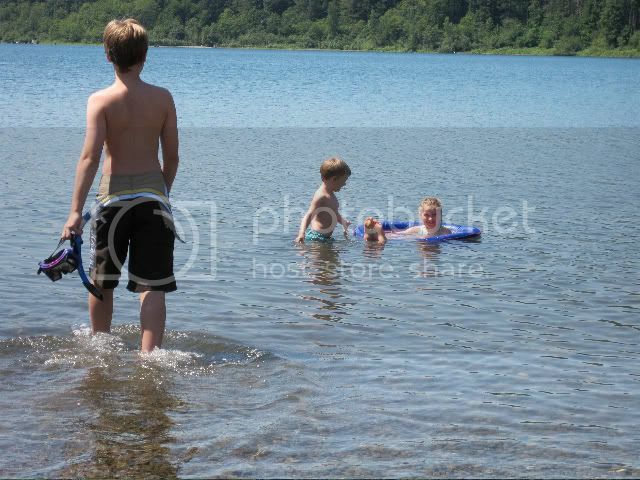 The pics at the lake really make me yearn to be able to swim in fresh water again. Um...they do have fresh lakes down under, don't they? LOL! Wonderful pics. :) Your kids are just adorable. Thank you. :) They can be demons though. LOL! 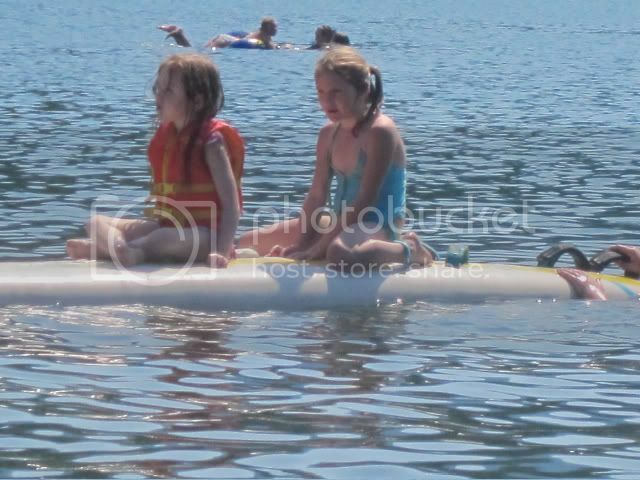 I have a little fear of the lake...I don't know why. p.s. I love the icon on your post! Hmmm...could it be all those horror movies about pirhana and alligators? LOL! Then again, there are no sharks. :P I had quite the summer with my kids. I love this icon too. You can snag it. There's no one to credit it to. It's one of those unclaimed ones I just had to have. Looks like great fun! 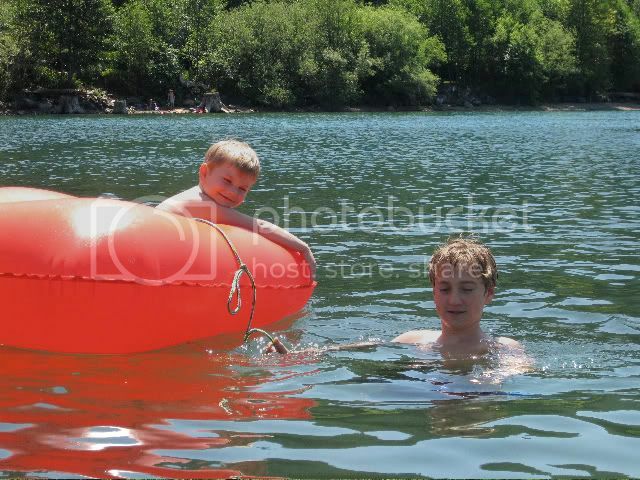 I dont think ive ever swum in a lake! You're the second Aussie to tell me they don't swim in fresh water. LOL! Is the closest lake 2 hours away from you too? One keeps forgetting that Australia is so big and that most people are congregated on the coast. And it is fun. It's like a really big swimming pool...that's really COLD (one downside to fresh water in the mountains). Great pictures, thanks for sharing! Looks like you had a fun time. Your kids are adorable! Are you on twitter too or just facebook? 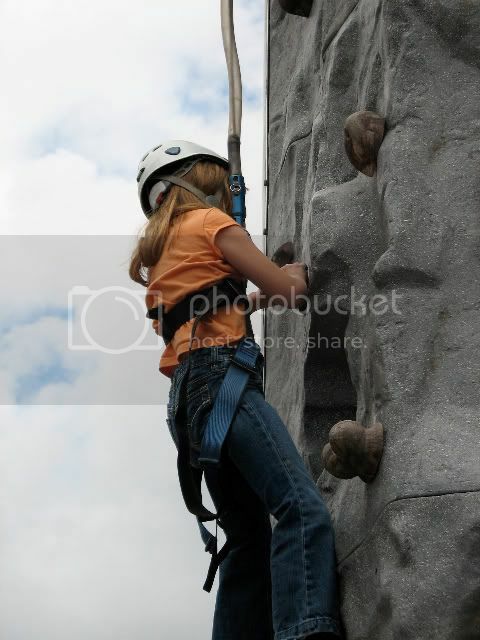 I've always wanted to go rock wall climbing. 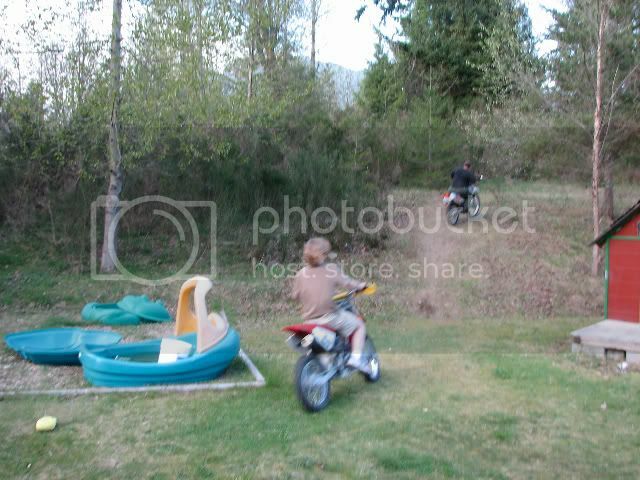 It looks like fun! Just Facebook. But I frequent that about as much as I frequent here. So it's not like I'm at one more than the other.